A champion horse, a beloved wife and a popular — if mysterious — poem by Mary Oliver are the inspirations behind a rare concert of old and new music created entirely by Seattle composers. On Sunday (Nov. 18), Philharmonia Northwest, a chamber orchestra of 45 musicians under the direction of conductor Julia Tai, will present “Seattle Sounds.” Tai and company will dust off Ken Benshoof’s 1974 Concerto for Cello and String Orchestra and William Bolcom’s 1986 “Seattle Slew Suite.” Neither has been performed anywhere for a long while. In celebration of new music, Philharmonia Northwest will also present the world premiere of Sarah Bassingthwaighte’s “Sleeping in the Forest,” the title taken from the Mary Oliver poem describing a back-to-nature experience ending on an ambiguous note. Together, the three pieces in “Seattle Sounds” present a wide sample of composing ambitions over the past 40-plus years. 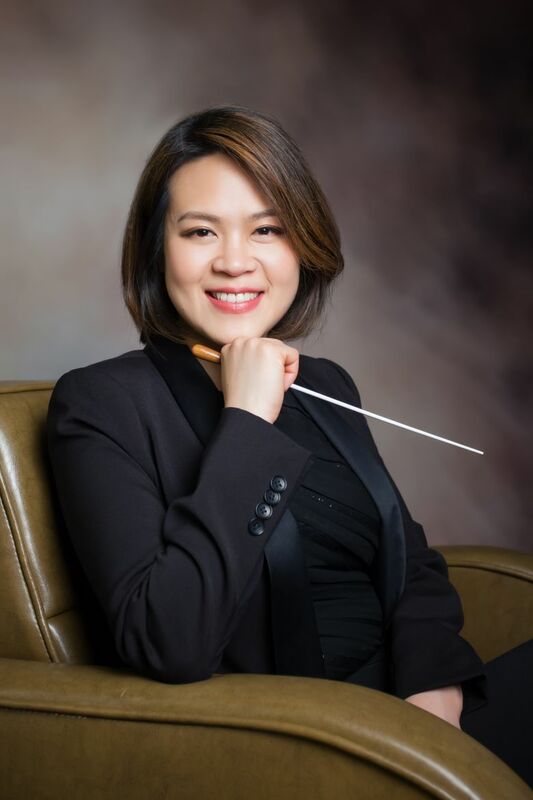 “I thought, why not paint a portrait of Seattle,” says Tai, who has been at the helm of Philharmonia Northwest for eight years. She is also founder and co-artistic director of the Seattle Modern Orchestra, and teaches orchestra at Seattle Pacific University. Pacific Northwest Ballet commissioned Bolcom to write the “Seattle Slew Suite,” celebrating both the eponymous thoroughbred racehorse who won the Triple Crown in 1977, and the pageantry of championship races. Because Seattle Slew won the Kentucky Derby, the Preakness Stakes and Belmont Stakes (i.e. the Triple Crown), Bolcom wrote music for three dance settings. After its PNB premiere, the suite was recorded by the Louisville Orchestra, and has been performed only very occasionally since then. A Seattle native, Bolcom, 80, won a Pulitzer for his 1988 “12 New Etudes for Piano.” He began studying piano and composition at age 11 at the University of Washington. His education eventually took him abroad, and he became a professor of composition at the University of Michigan. Ken Benshoof’s Concerto for Cello and String Orchestra was written for his wife, Theresa Benshoof, who retired as Seattle Symphony’s assistant principal cello in 2015. Theresa was soloist for the world premiere of the concerto, which was performed by the Northwest Chamber Orchestra. For the Philharmonia Northwest performance, Seattle Symphony cellist Walter Gray will be the soloist. The concerto had four performances in Seattle, and, Benshoof says, the two-movement score sat on a shelf for decades after that. Revisiting it has been a jarring experience. “I have to admit it sounded a little foreign to me. It was full of surprises. Eventually some of my memories of it came back. I don’t remember working on it, but I can see that the first movement is the more lyrical of the two. There is a very simple melody in it that I took from a song I composed long before. I had strong feelings about the song. I thought maybe I could get other people to feel the same way I feel about it if there was a sufficient setup. The second movement is more muscular. Raised in Nebraska and Alaska, Benshoof, 85, studied piano but knew he could write better music than what he found in his piano book. After a stint as a soldier in the Korean War, he settled in Seattle. Still a Seattle resident, Benshoof served as in-house composer for Seattle Repertory Theatre, and is a professor emeritus at the UW music school. Sarah Bassingthwaighte’s “Sleeping In the Forest” is a reflection of her passion for the outdoors. She says her “Sleeping in the Forest” deviates from the startling ending of Oliver’s poem. Bassingthwaighte, 51, was born in Rochester, New York, and moved to Seattle at age 9. She is a flutist as well as an ubiquitous presence in Seattle’s contemporary classical-music scene as a teacher, lecturer, guest composer at orchestras all over the world, and recipient of two awards from the National Flute Association. After the world premiere of “Sleeping In the Forest,” the question for Bassingthwaighte — as it is for any composer — will be whether there is longevity for the piece. Will someone other than Philharmonia Northwest want to perform it?